You just said that you hope people will play hard. What did you put in for that purpose? You could say that we devised the Fiend’s Cauldron for that. The Fiend’s Cauldron is a system for single players to adjust the difficulty to their own liking. How did that come about? This is a clear example of risk and return. Ah, yes, the Fiend’s Cauldron is exactly a system of risk and return. You make a bet with yourself. It’s like you place your own skill or the abilities of your weapons and a degree of difficulty on the scales of a balance and make a bet. Yes. But unlike regular weapons, they determine your character. The weapons determine your character? For example, it’s like choosing Mario or Link as your character in Super Smash Bros. In other words, you can choose the weapons you like in line with your own fighting style, and each weapon has its own personality according to individual skills. Video: the player’s characteristics depend on the weapons you have. the player’s characteristics depend on the weapons you have. Exactly. There are all kinds of weapons, but if you want better weapons, the Fiend’s Cauldron is important. In this game, we call the difficulty setting the Intensity Setting. You can choose from 0.0 to 9.0 . There are many games that allow the players to adjust between certain difficulty levels but with this game the setting of levels sounds a little analogue. The standard setting is 2.0. You can raise or lower it from there, but it costs money. Well, not real money, but when you do things like beat an enemy, you get what in the gameworld are called hearts. But it’s rare to bet what counts as in-game money in order to raise the difficulty! Betting hearts means taking risk upon yourself. If you raise the Intensity Setting, you get even more back than you bet. You’ll get stronger weapons, so it gets easier to clear even higher Intensity Settings. In other words, if you bet more money, you get more back. But what happens if you fail the challenge? If you fail, the hearts you bet spill from the Fiend’s Cauldron and your Intensity Setting goes down a little. And then the returns you get are smaller. Right. However, it gets a little easier, so it doesn’t often get so difficult that you can’t clear something no matter how many times you try. On the other hand, if you don’t want to run that risk, or you aren’t confident in your skills, you can set the Intensity Setting to less than 2.0. Then enemy attacks slacken and you can march on at a good pace. At 0.0, you are virtually invincible. I think anyone in command of the controls can reach the end. In other words, by adjusting the Intensity Setting, the enemies that appear and their strengths change. Right. Of course, if you lower the Intensity Setting, the strength of the weapons you get and the hearts you get decrease. So that’s what you mean by placing your skills and the abilities of your weapons on a scale. Why did you decide to adopt the Fiend’s Cauldron system? We wanted to make it so not just advanced players would be able to enjoy the essence of the game, but so that good players and not-so-good players - anyone, really - can play it. After all, players exhibit quite a range of skills. Addressing the challenges presented by games is fun. I think that in the end, risk and return is linked with those challenges. By asking the players how they want to bet, they set challenges for themselves. By taking on big risks, your joy is greater when things go well. That’s right. The first Kid Icarus game is spoken of as a game of no middling difficulty. But your game development is always like that. Even though you are incredibly good at video games yourself, you spend a lot of time thinking about what you can do so that even beginners can make it to the end. What’s more, you have a strong desire to satisfy advanced players. I would say - and I mean this in a good way - that you’re really not good at giving up anything. It’s not a trait many people have. 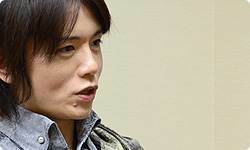 What do you think about that, Sakurai-san? 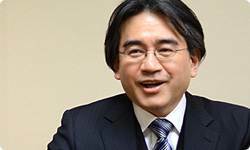 Unlike me, Miyamoto-san, for example, is against the players being able to choose their own difficulty. You mean in the thinking of how the optimal level of game difficulty is something that the game creators should determine, not something you have the players choose? Yes. The same goes for key configuration.12 12. Key configuration: A function that allows assigning different roles to different control keys. 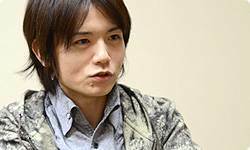 I suppose Miyamoto-san feels that since many players will play with default settings, there should only be one key configuration that the developers determine is right, and they must take responsibility for it and putting it forth. But I think the players should have a slightly greater degree of freedom in their choices. I suppose you belong to a different school of sorts when it comes to the way you think about specific areas of games. I think it’s good to be in different schools since more games will be different. 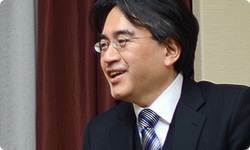 I personally have a strong desire for as many people as possible to play however they like. You strongly want the players to choose. Yes. With Kid Icarus: Uprising, it has all kinds of elements, and you can play it through and through, but I think it’s fine if some people just fly through from the first chapter to the end and say, “Ah, that was good!” and end there. With the Intensity Setting turned down? Yes. One way of enjoying the game that I can recommend is breezing through one opponent after the next and listening to the back-and-forth between Pit and Palutena or other characters, as well as the good music, so you say, “Ah, this is fun!” On the other hand, I think it’s fine if there are people who play it hard by changing the Intensity Setting, playing the same chapter many times, changing their weapons, and enjoying various strategies. In that way, the Fiend’s Cauldron is a system that you made with an intention that allows for a broad variety of ways to play the game. But the Fiend’s Cauldron is, as its name suggests, a fiendish system. When I play, I can’t help but want to turn up the Intensity Setting. Because the returns are big. Yes. It’s pleasing when you turn up the Intensity Setting and overcome the challenges that come your way. I suppose that is because the relationship between risk and return is balanced well. In Monster Hunter Tri G13, everyone boldly tries the incredibly difficult G class. 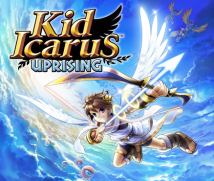 So you hope confident players will try Intensity Setting 9.0 in Kid Icarus: Uprising? The situation may be different from Monster Hunter, but I think the players’ attitudes are showing that a high difficulty is not necessarily a bad thing. In any case, we haven’t made Intensity Setting 9.0 absolutely unreasonable. You do have to make your weapons strong and think about the right powers and strategies, but I hope people will try it. 13. Monster Hunter Tri G: A hunting action game released by Capcom Co., Ltd. in Japan for the Nintendo 3DS system in December 2011.